At the launch of 'Swachhata Hi Seva Movement', which aims at fulfilling Mahatma Gandhi's dream of clean India, Ratan Tata, the Chairman of Tata Trusts, said that his company has spent over Rs 1 bn in support of the Swachh Bharat Mission, which Prime Minister Narendra Modi launched in 2014. Prime Minister Modi launched the 'Swachhata Hi Seva Movement' on Saturday and appealed to the citizens to dedicate themselves towards achieving the aim of a clean country. Lending his support to the programme, Ratan Tata said that the strength of a country's foundations is determined by the health of its citizens. "That foundation is the health of our people, which cannot be there without cleanliness and raising the level of sanitation and safe drinking water for the people," stated Tata, who was joined by megastar Amitabh Bachchan for the event. "Unfortunately, I don't have the face or the voice of Amitabh Bachchan to offer. I can only say that Tata Trusts, which have been in existence for 100 years, have spent over the last four years over Rs 100 crore in supporting the Swachh movement and will continue in the coming years, to support technology to be brought that will be necessary to make this a great success," he added. 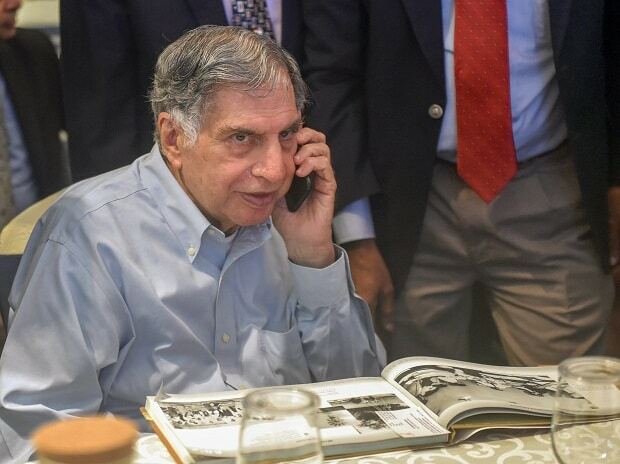 Ratan Tata, who is also the Chairman Emeritus of Tata Sons, lauded Prime Minister Modi's flagship cleanliness programme, Swachh Bharat Mission. The Prime Minister had written personalised letters to nearly 2000 citizens from different walks of life inviting them to join the 'Swachhata Hi Seva Movement' and strengthen the Swachh Bharat Mission.